KUALA LUMPUR (May 20): Tension appears to be brewing among high ranking government officials over the axing of Iskandar Waterfront Holdings Sdn Bhd (IWH) and its partner, China's state-owned China Railway Engineering Corp Sdn Bhd (CREC) from the RM12.35 billion Bandar Malaysia development project. The Edge Malaysia, citing a well-placed source, reported in its cover story for the week of May 22-May 28 that a key adviser of the prime minister on the entire IWH CREC debacle is Tan Sri Irwan Serigar Abdullah. Irwan, who did not reply to calls or messages left by The Edge, has come under fire from certain bloggers while 1Malaysia Development Bhd president Arul Kanda Kandasamy was removed from the board of Bandar Malaysia around the same time as the deal with IWH CREC fell through -- sparking talks that Irwan was in a feud with Arul. Some news portals cited “potential conflicts of interest”, though no elaborations were provided. 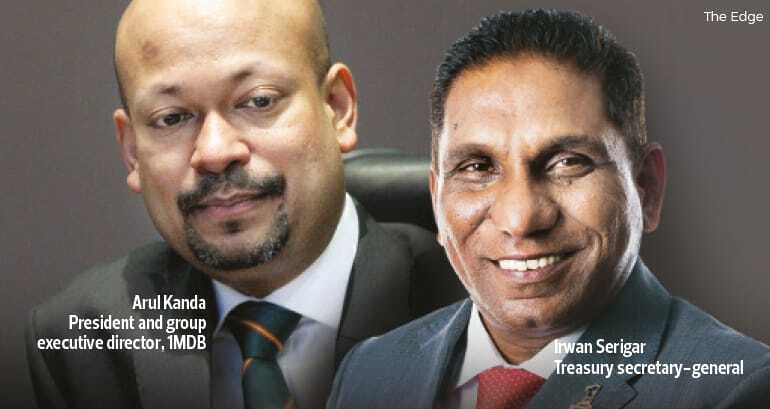 Sources told The Edge that Arul was with Tan Sri Lim Kang Hoo in China earlier this month at the One Belt One Road Forum, and that Arul had helped to pacify the Chinese government, who were apparently not happy with the failed deal. For perspective, Prime Minister Datuk Seri Najib Razak, it seemed, was adamant to remove Lim and his vehicle IWH from the development at the weekly Cabinet meeting last Wednesday, despite repeated attempts by government officials to salvage Lim and CREC's positions in Bandar Malaysia, according to The Edge. "I wonder what Lim did to aggravate the PM to this extent," an official close to the prime minister told the weekly. IWH CREC's Dec 31, 2015 share sale agreement to buy 60% of Bandar Malaysia for RM7.41 billion lapsed after the joint venture failed to meet conditions set, involving 12 payments, despite having been given 12 extensions. But even government officials acknowledged that in such large-scale deals, extensions -- even 12 of them -- are common, the weekly wrote. The manner in which the deal was ended was also a topic of conversation. No notice of termination was apparently given to IWH CREC. The Chinese, several sources told the weekly, have not taken well to the allegations, and "were especially irrirated with the statement that the consortium was not able to make the payments, as CREC is a state-owned company". The weekly wrote, citing sources, that Chinese government officials were even reluctant to accept the refund of the deposit of RM741 million and interim payment of RM44.88 million for the relocation of the air force base, Pangkalan Udara Kuala Lumpur. They were even upset with Lim for cashing the cheque for the deposit refund. But Lim had other issues to handle, with publicly traded Iskandar Waterfront City Bhd’s (IWC) shares hitting limit down on May 8, after a 92 sen or almost 30% plunge to RM2.16 in early trading, the weekly noted. On top of that, another Chinese company, Dalian Wanda Group, owned by China’s second richest man, Wang Jianlin (he was overtaken by Alibaba Group’s Jack Ma on May 14), was tipped to come into Bandar Malaysia, replacing IWH CREC. However, talk of Wanda coming in has died down. The Edge heard that the Chinese authorities were not too pleased with Wang for what seemed like a sabotage of state-owned CREC’s deal, and IWH CREC were said to be back in the picture. A local daily, linked to the ruling Barisan Nasional coalition, also reported that “Chinese Prime Minister Li Keqiang told Najib that China hopes the deal on Bandar Malaysia stays unchanged. Najib may have to take the Chinese wishes into consideration," quoting a government source in Beijing. Subsequently, Minister in the Prime Minister’s Department, Datuk Seri Abdul Rahman Dahlan said IWH CREC would be allowed to bid for the development again when the request for proposals are called. However, Najib announced in a statement later that contrary to some erroneous reports, the termination of the agreement with IWH CREC was final and it would not be reinstated. If Irwan was behind the whole IWH CREC debacle, he did not get even a small slap on the wrist, the weekly wrote. 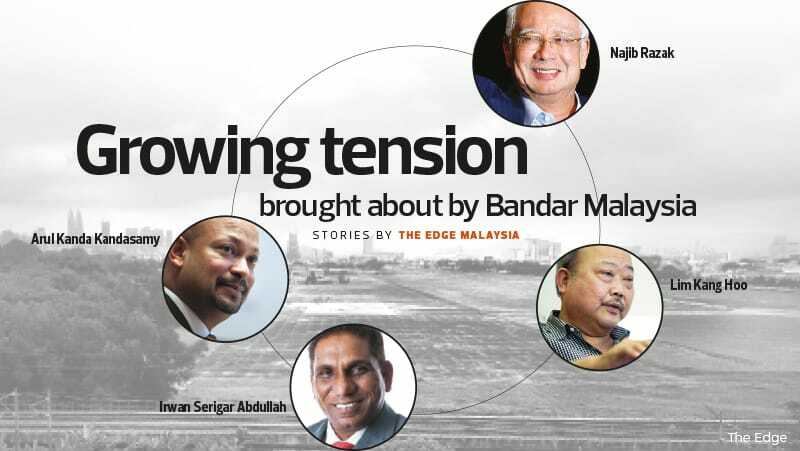 "But could the feud get bigger, as all the parties involved — Lim, Irwan and Arul — are understood to be well connected?" What more has gone on behind the scenes? Who else are in the picture? And what if there were no 1MDB? Pick up a copy of The Edge today at news stands near you, to find out more.